When is it a good time to sell my home? You are here: Home / Seller Information / When Is It A Good Time to Sell My Frederick MD Home? 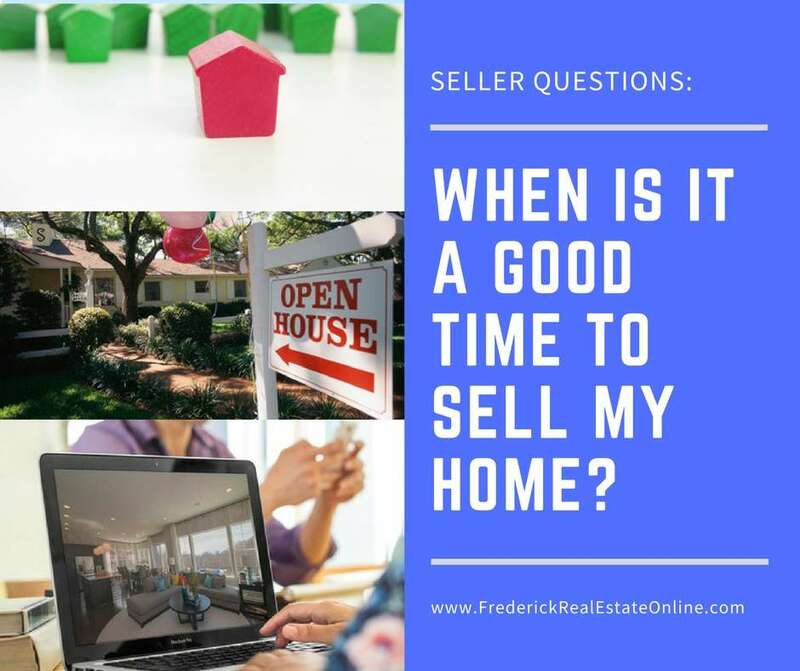 When Is It A Good Time to Sell My Frederick MD Home? ❓ Seller’s often Ask: When Is It A Good Time To Sell My Home? “I want to get the home sold quickly.” Then, the short answer is, you want to sell when demand is high. Combine that with a market with low inventory and you end up with a short selling time, or “Days on Market” DOM. The average DOM in Frederick County right now is 46 days, compared to 64 days at this time last year. This is another indication that right now, inventory is low and demand is high. Similarly, “I need to sell quickly because I have to move for a new job.” In this case, you don’t want to waste time on the market. The longer your home sits on the market, the longer you are paying a mortgage on a home you don’t live in. You may be paying rent, or you may be waiting on the sale of your home to buy another home in your new location. This is a time to heed your real estate agent’s advice and price your home to sell…which means at market in most cases. If your home is in good condition and priced well, there is very little reason why it won’t sell. “I want to get the most for my home, but I’m not in the position to do a lot of work on it.” In this case, you might be on the market for a while, or you might sell quickly. It depends on a lot of factors, like other comparable homes on the market, the selling time in your neighborhood and in your price range. Some neighborhoods and areas are in high demand and this makes a difference. Your home will also need to be priced accordingly. If it is in need of upgrades, then your expectation needs to be that you probably won’t get top dollar. You will need a local real estate agent who is knowledgeable in not only in your area, but in the market trends. “I want to test the market. If I can get the price I want, then I will sell.” We hear this sometimes. The best advice I like to give is to consult a local expert agent, or two or three, get a good idea of what your real estate market is doing, whether demand is up or down. Get a Comparative Market Analysis (CMA) and get their advice on a marketing strategy. If you don’t like the answers, it’s probably not a good time for you to sell. You may want to wait until the market improves, or you may want to revise your expectations. Remember, home sellers don’t determine the value of their home, the market does. A home is worth what buyers are willing to pay in the present market. 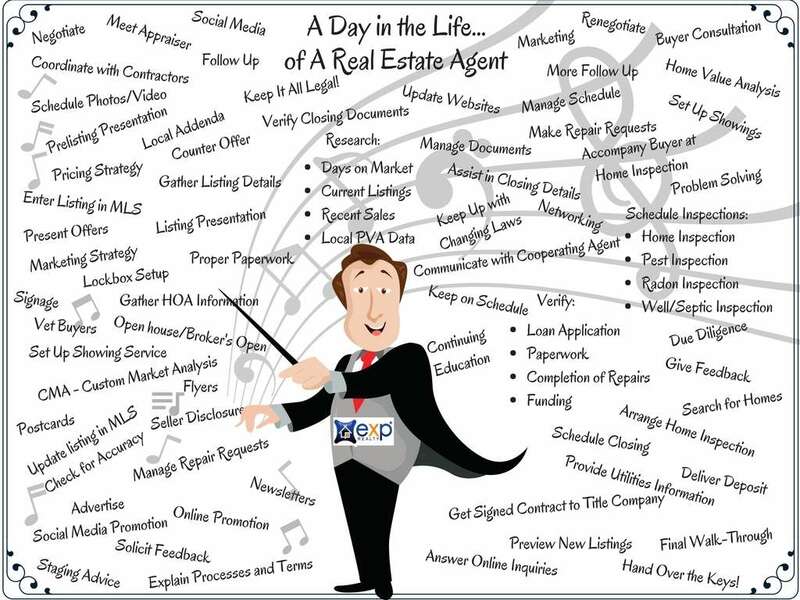 Getting to that correct evaluation is what a qualified, experienced real estate professional does 365 days a year. Whether it’s a buyer’s market, seller’s market or a transitioning market, an experienced agent is studying the market every day. Read on for more information on determining your home’s value. Many sellers decide to choose the time to sell their home that fits with their seasonal life schedule. Families with school aged children, for example, often put their home on the market in spring, so they can have the summer to move, and so that their children can start the new school year off in their new school district, if they move to a different area. Some sellers must schedule around job changes, marriage, retirement, or other major life changes. In these decisions, it is never a wrong time to put a home on the market at a time that fits with your circumstances. The priority of an easier transition into changing life circumstances is a major motivation that is important to consider during the stressful process of selling and buying a home. Each season has its challenges and its benefits. Even though we have “traditional” ideas about real estate markets, it’s our experience that they don’t always hold true. How to sell your home in the Spring, by Anita Clark, a residential Real Estate Agent in Warner Robins Georgia. Anita wisely points out that buyers often make their decision about your house within the first minutes. Taking advantage of spring plantings will make for great curb appeal. Top 10 sizzling Summer homeselling tips, by Rochester NY Real Estate agent, Kyle Hiscock. Kyle points out the advantages to appealing to summer home shoppers…not the least of which is the nice weather. The pace of summer home shopping is often more relaxed, which appeals to many. 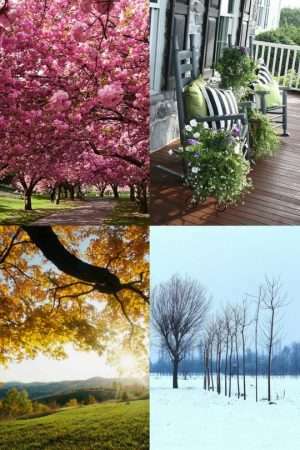 Tips for selling your home in the Fall, by Paul Sian, real estate agent in Greater Cincinnati, OH and Northern KY areas. Crisp air, turning foliage, and renewed interest in real estate after summer vacation is over…there are many reasons to appeal to the Fall home buyer. How to sell a home in the Winter, by Bill Gassett, Metrowest MA Realtor®. Bill points out the importance of emphasizing the warmth and beauty of the winter season when selling your home. Additionally, winter buyers are generally more serious buyers. Bonus! Should I sell my home during the Holidays, by Bill Gassett. Even though the winter holiday season is often the busiest time of the year, you may end up with the best buyers. Buyers who are looking during the holidays often have a time schedule in mind, which can be to a sellers advantage. As you can see, the answers to the question of when it’s a good time to sell your home are not so simple. Several factors make selling a home more than a simple equation. 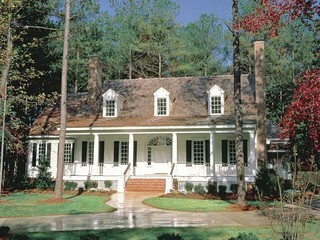 Consult a local real estate agent who knows the market and the trends in your neighborhood. Consider that selling a home is a process, not an event. Make sure the process fits you and your life. Seller’s often Ask: When Is It A Good Time To Sell My Home? There are several aspects of selling a home that make this a more complicated question than can be answered with a single answer. The complicating issue is, What's your motivation, home seller? 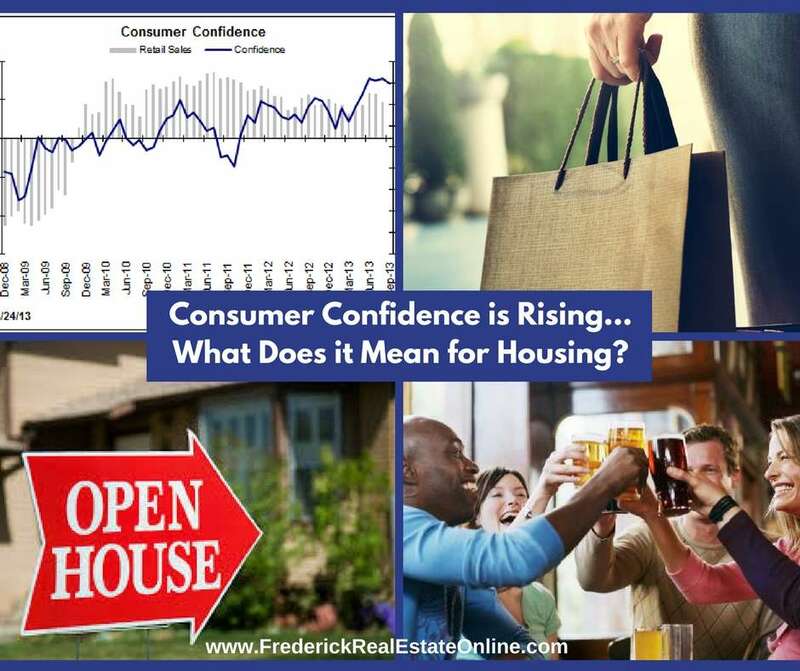 Previous Post: « Consumer Confidence is on the Rise – What Does that Mean for Housing? Buyer Information What Does A REALTOR Do?